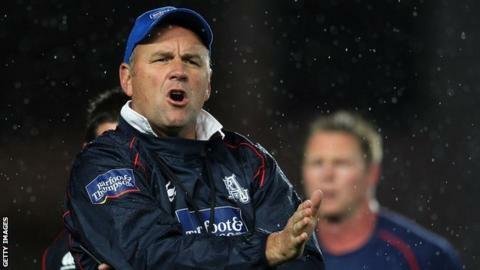 Auckland head coach Wayne Pivac will join the Scarlets as assistant coach ahead of the 2014-2015 season. Pivac has been involved with Auckland Rugby for 15 years and has also been director of rugby with the Fijian Rugby Union. He coached Fiji to the Pacific Tri-Nations during his first year in charge and was also coach of the side which won the 2005 Rugby World Cup Sevens. "I look forward to working alongside what is clearly a very committed, able and driven coaching team," Pivac said. "I hope I can bring something positive to the mix; the Region has a strong core of talented and experienced international players as well as some impressive youngsters coming through in both the pack and the backs." Pivac will join the Welsh region in June and will work alongside head coach Simon Easterby, backs coach Mark Jones, specialist scrum coach Danny Wilson and kicking coach Mark Tainton. "This is a very exciting appointment for the Scarlets, and for us as a coaching group - bringing in someone new to join us with fresh ideas, ambition and a wealth of experience," Easterby said. !I am looking forward to working closely with Wayne and I am sure he will work well with our group of players and fit in quickly with life here at Parc y Scarlets."